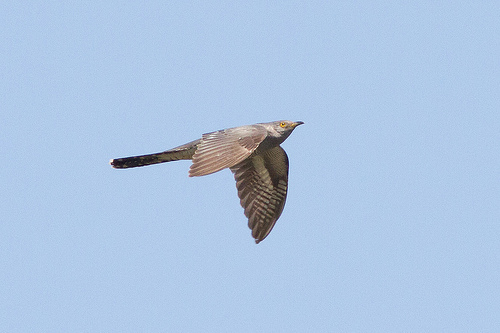 The Cuckoo is easy identified by its call. During the flight, it looks a bit like a small falcon, but obviously it lacks the hooked beak. 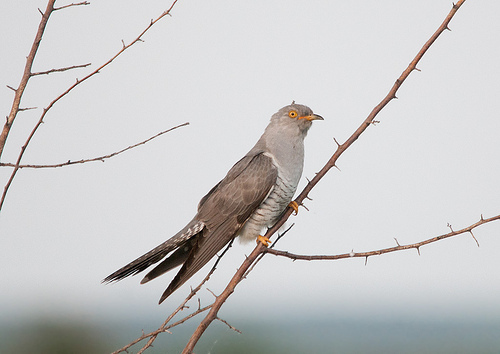 Cuckoos are known for laying their eggs in other nests, leaving the raising of the young cuckoos to other bird species. The Cuckoo is greyer and has a thin beak.